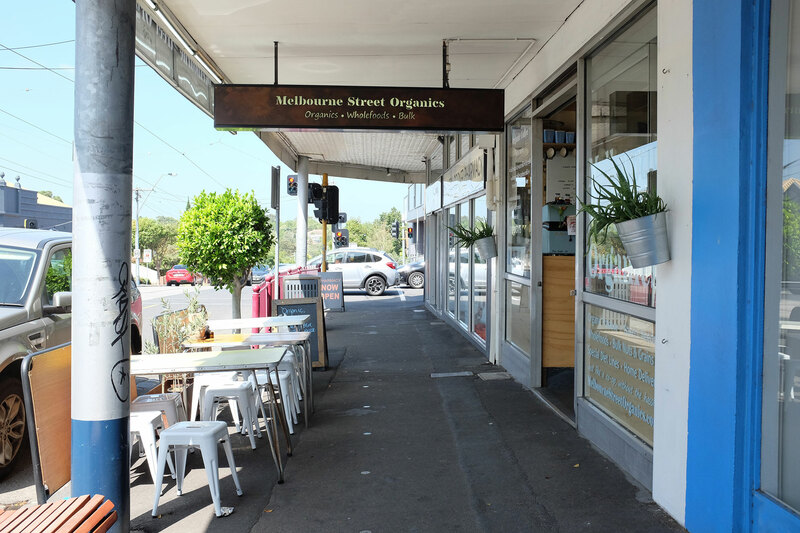 We came across Melbourne Street Organics purely by accident….I happened to notice it while we were stopped at the lights at High Street and Taroonga Rd, in Malvern. We had a chance to go back on Sunday afternoon to check it out. 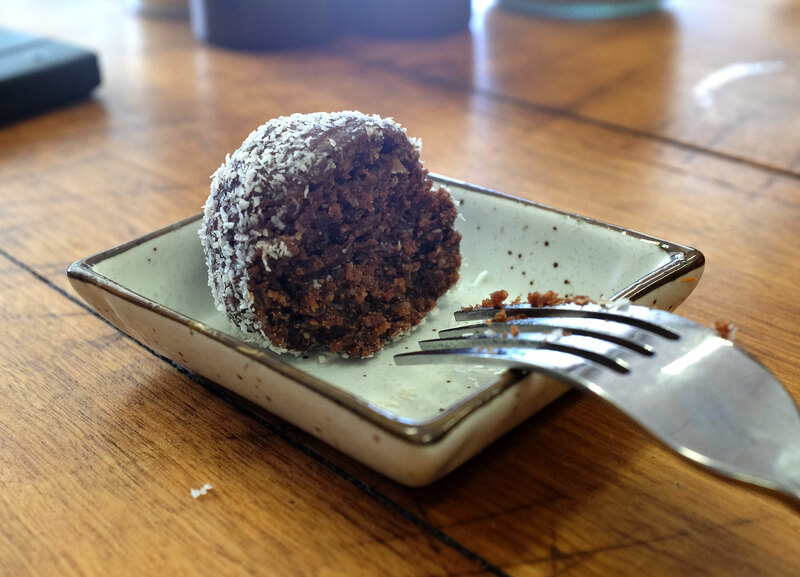 Melbourne Street Organics is an Australian family business that originally started out in Murrumbeena. 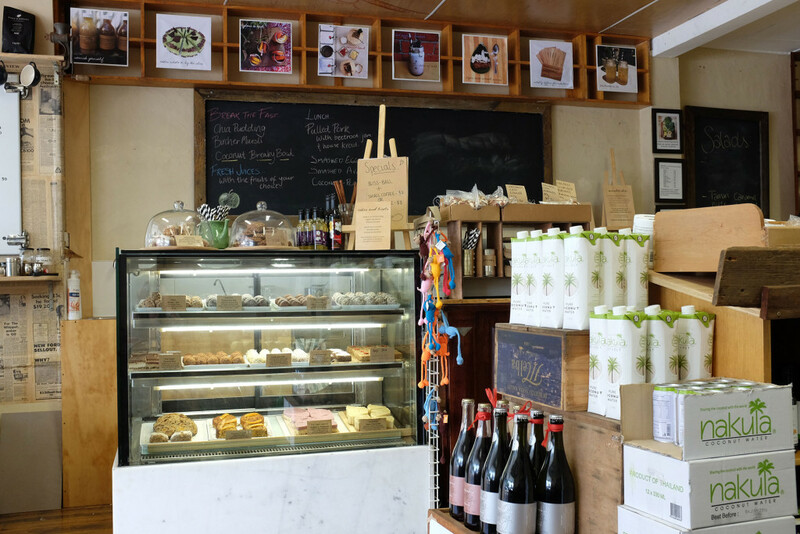 They have been at their current location for about two years with the more recent addition of a small cafe. 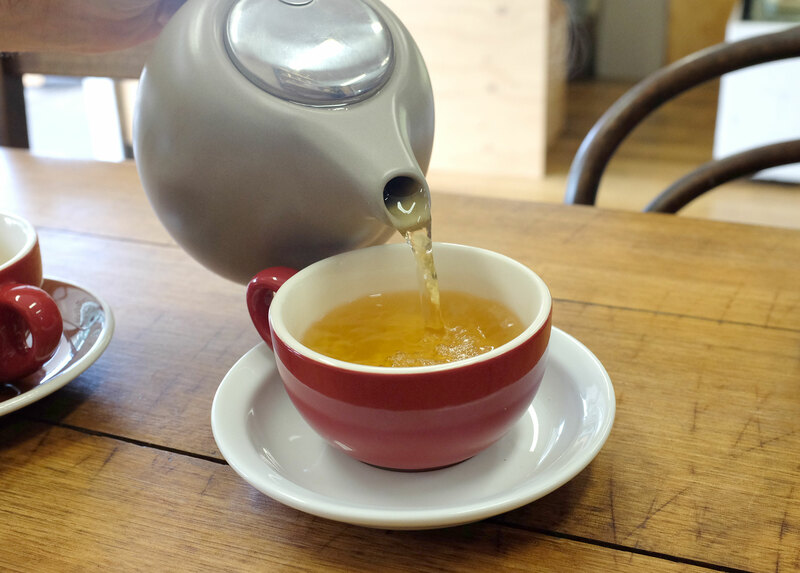 There is a wide range of hot and cold drinks, seasonal lunch and snack options, and the good news is they cater for various dietary requirements: vegan, gluten-free, dairy-free, sugar-free diets…even FODMAPs diet! 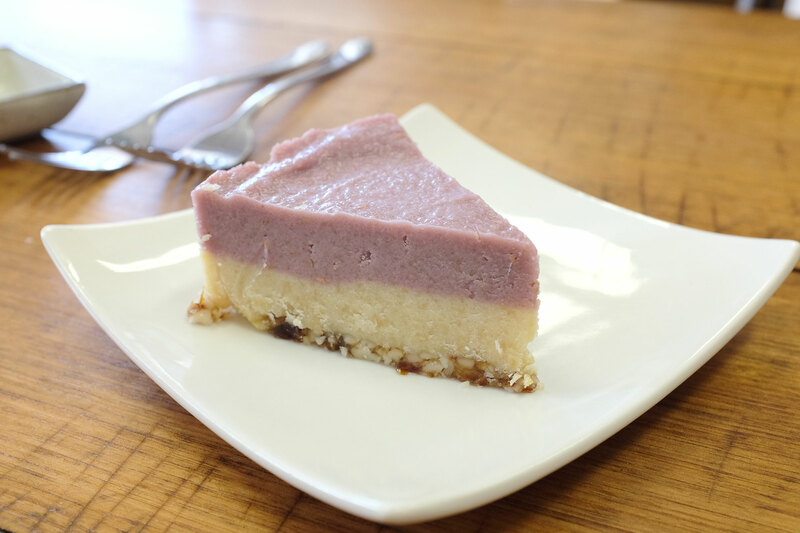 I had the vegan raw strawberry and lemon cheesecake….seriously YUM! My husband had one of the bliss ball variations they had available…. 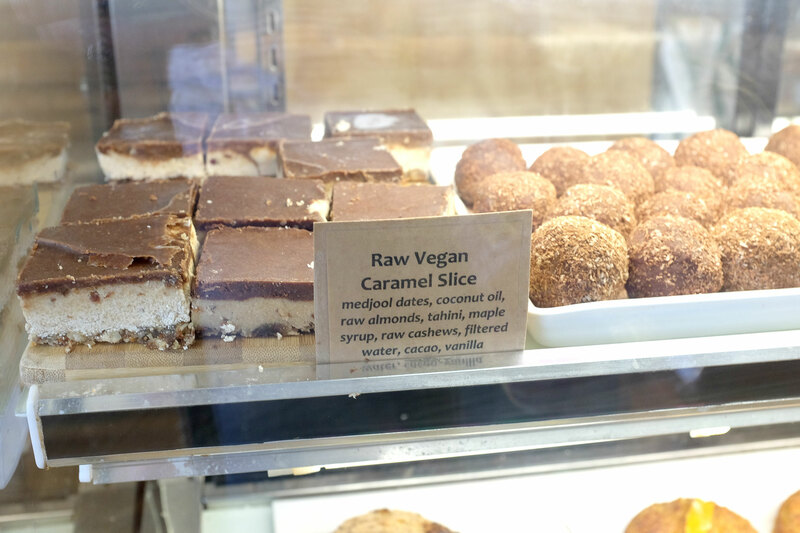 And I couldn’t resist to taking one of the vegan raw caramel slices to take to work during the week…the slice will keep up to two weeks in the fridge, although I didn’t think I could wait that long to eat it…it was lucky to make it home! I had it the next day, and it was seriously divine…I ate it all! 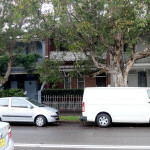 Melbourne Street Organics also provide an online store, called Naturally Better Foods. For those who live in the Greater Melbourne/Mornington Penisula area, there is an Organic Fresh Produce service..which means fresh food couriered straight to your door! 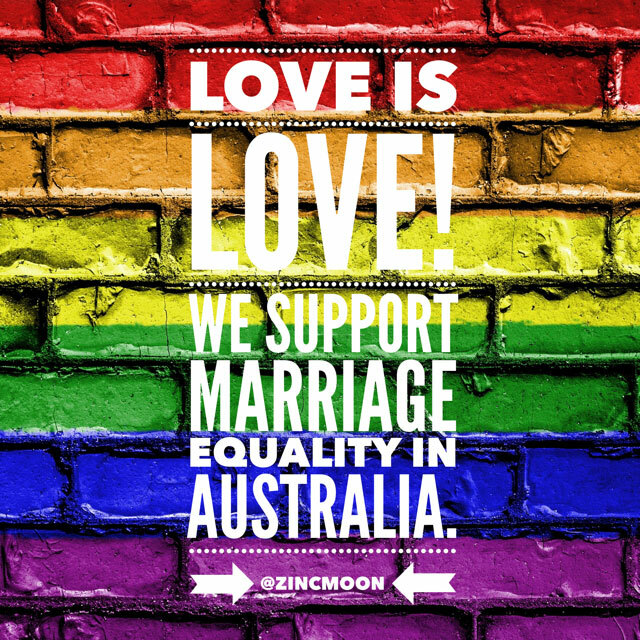 If you don’t live in Melbourne, there are still plenty of items that are available for Australia wide delivery! 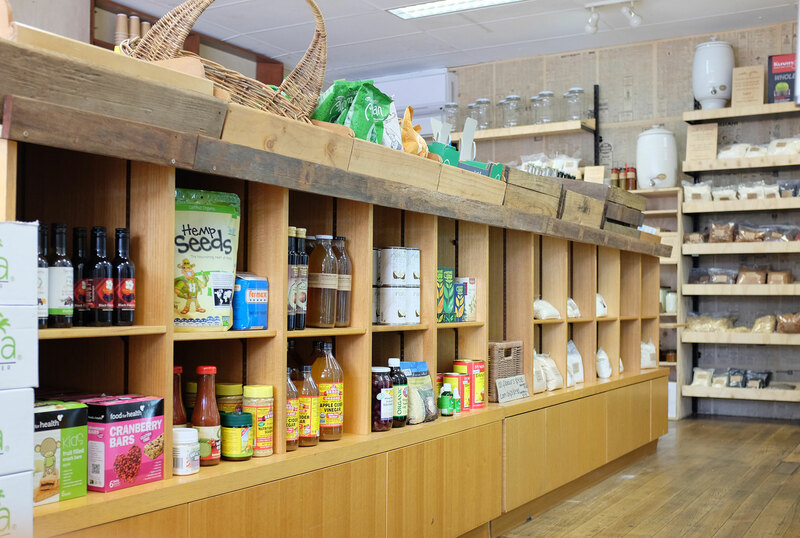 And of course, many of the products are available at the Malvern store…plus you can collect fresh produce, dairy, meat and bread orders after 2pm Mondays and Thursdays. Definitely worth a visit if you are in that part of town…I can highly recommend the raw vegan cheesecake…and the raw vegan caramel slice! Melbourne Street Organics is located at 1430 High St, Malvern. To find out more, click here to visit their website! 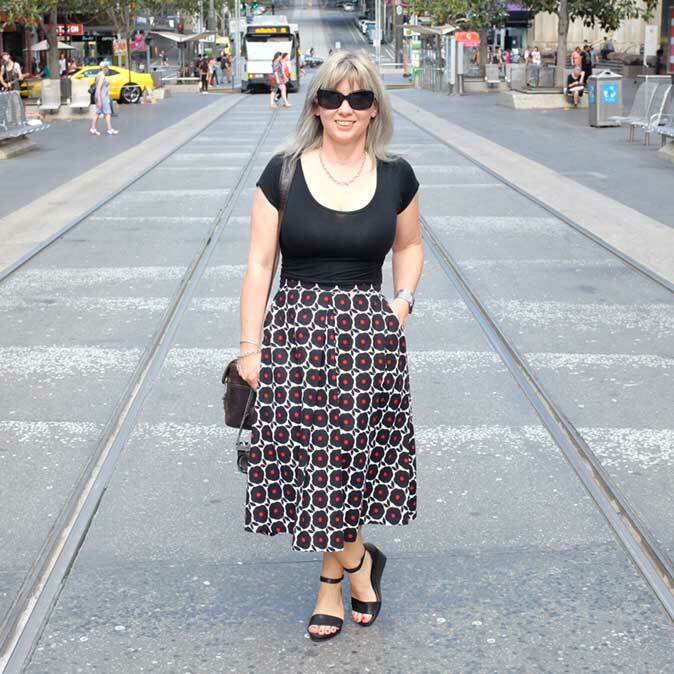 « Book Review – The Vintage Tea Party Book	» The Magic of the Waist Belt! I had an amazing bliss ball and coffee from here a few months ago, delish!